One of my favourite aspects of managing a research firm here in Asia is the ability to influence policies that I truly care about - in this instance, economic policies that can positively develop Vietnam, my parents’ birthplace. The U.S. Administration rolled out the ‘economic pillar’ of its Indo-Pacific strategy on July 30 at the Indo-Pacific Business Forum in Washington, DC. Secretary of State Pompeo delivered the keynote address with additional remarks offered by Commerce Secretary Ross, Energy Secretary Perry, and other key cabinet secretaries and senior leaders from government and business. With the Asian economies projected to create 50% of global GDP in the coming decades, what policies can best facilitate private sector partnerships and unleash the full potential of the Indo-Pacific region? Below is a copy of my letter. Thank you for the inquiry in regards to Secretary Pompeo's presentation about promoting a free and open Asia. Having spent over a decade in the Asia region, it is my honor as managing director of One Road Research to share our observations. 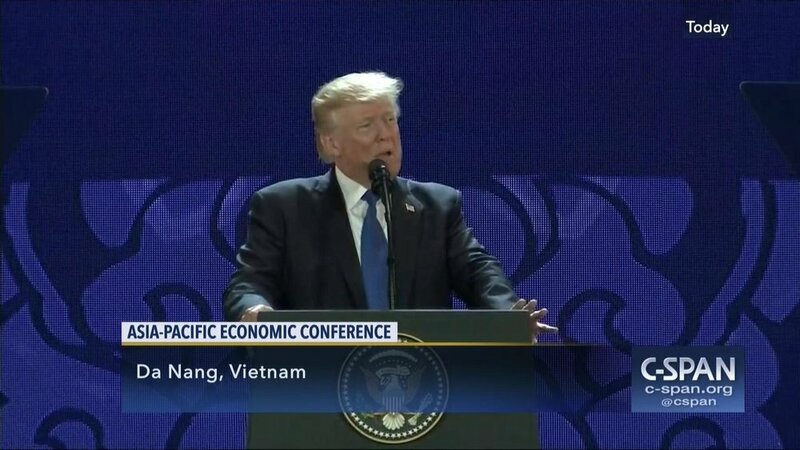 Given the importance of the U.S.–Vietnam bilateral relationship and Vietnam’s key role in the region, this letter's focus will be Vietnam, periodically referencing surrounding regions. To address this extraordinary task in the most effective manner possible, we must first observe previous attempts to promote a free and open Vietnam and understand the cause-and-effects. In 1996, Vietnam began joining governmental and non-governmental organizations globally. Since then, Vietnam has seen immense economic growth - its GDP grew from $25bln to $224bln, millions have been brought out of poverty, and globally market has allowed more exporting of its goods and services. Today, it holds memberships in 63 International Organizations and maintains relations with over 650 Non-Governmental Organizations, which make up a significant sample size for observing the efficacy and merits of free and open initiatives. The boosting of the nation's current account has consequences that stem from most of America's post-war efforts. America found it necessary to make concessions to Asia that were designed to induce states to liberalize their economies. For China, South Korea, and Japan, it was for geopolitical reasons that these countries got access to the vast global market without the proportional 'opening' of their markets. In the case of China and Vietnam, we have seen the impact that these imbalanced policies have had. 1. Vietnam has experienced economic inequality as seen in the mismatch of economic growth and average daily consumption of selected deciles. Since 1996, we have seen the consumption of Vietnam's poorest decile increased from $0.80 to $2.10, while that of the richest decile rose from $7.20 to $24.30. 2. In conjunction, there is a rise in social corrosion as Vietnam consistently ranks low (108) in the global transparency index and ranks one of the highest in terms of countries with irregular payments and bribes. Pundits suggest that all these elements will sort out as Vietnam liberates. The question is - how do we execute this objective? Or will the results be more of the same? We observed that throughout the history of economic liberalization, there is never been a case in which enriching an authoritarian regime would ultimately bring social parity. Note that groups motivated mainly by office rents will have lower incentives to seek power if the country is deeply engaged in FTAs as the economics work in favor of the group. The Socialist Republic of Vietnam tends to fit this description. Yet, it is important to note that this social-economic structure has less incentive to pursue policies that favor the population at large. One Road Research suggests that the administration consider the below structural framework in forming bilateral relations and policies with Vietnam. The critical component for your consideration is the size of the state, as represented by the government and SOEs, relative to the total economy, as measured by total national investment. This calculation yields 40% of GDP, which is parallel to China. Not surprising, considering the nature of command economies. As a result, the administration should be familiar with the unintended consequences that international organizations have on command economies - trade wars, forced technology transfers, social issues, and hegemonic expansion. It should come to no surprise why the Democratic People's Republic of Korea (DPRK) is keen to explore the growth model akin to that of China and Vietnam. Both states have grown in a distorted manner further empowering the ruling authority. Therefore, free and open initiatives must focus on growth, but directed appropriately to achieve the desired outcomes. A method to isolate the growth of any economy is to examine the ebb and flows of investment. We find this approach to be extremely potent for Vietnam due to the impact that stimulus has in a command economy. For example, we have developed an in-house investment indicator called the Capital Deployment Index (CDI) whose objective is to measure investment activity in the Asian economies and track the flow of funds from the central banks and capital markets into sectors and companies. Specifically, it shows us the percentage of the total investment that is being financed by the newly raised capital. Ultimately, the CDI demonstrates that there is a strong correlation between the deployment of capital and the economic growth of an economy. For example, 2017 witnessed a historically massive increment with 42% of new investments being funded by capital markets and banks. This supported the highest growth in the decade with a 6.8% GDP. This can be done as we examine what constitutes of Vietnam's top 30 listed companies, representing approximately 70% of the VN Index. We observed that most of the recent growth was contributed by the private sector, making up 46% of the VN30 Index, due to inefficiency in public investments. In one of our studies using our proprietary economic model, Asian Capital Development (ACD), command economies sometimes will misdirect stimulus to bolster GDP growth with SOEs mid and downstream. In other words, Vietnam may need things that haven't yet been offered, but that doesn't mean that everything that gets supplied is absorbed consumer spending, e.g. vacant properties. In contrast, POEs representing the majority of the workforce and populous (85%) will take more accurate signals from consumer spending for the deployment of private investment via the ‘profit motive’. This presents an interesting opportunity for developed nations to explore how to collaborate with the private sector of command economies. Over the last several decades we have seen the success that the West has had on the region. From Japan to Singapore, these states have flourished under the influence of the United States. Each state's sovereignty has been respected throughout the process as international organizations and NGOs worked to bring trade and prosperity throughout the region. Yet, POEs were a focus during the 12th Central Committee of the Communist Party of Vietnam; there was a discussion of the POEs in Vietnam and their deficiencies. However, we observed their myopic solutions to be ineffective and dependent on an expanding state, and therein lies a conflict of interest. If the administration desires free and open attitudes from Vietnam, we believe support and stimulus should be directed at POEs to achieve these goals. As demonstrated, POEs would act as rational participants in the domestic and global marketplace and will be susceptible to the objectives of the administration. The benefits are multiple in scope, as it mitigates the size of the state and SOEs relative to the economy. If thoughtfully executed, this can be achieved through many different routes, and One Road Research would be honored to help devise practical solutions.